What You Need To Know About Crossbites – Taylor Family Dentistry ? child is diagnosed with a crossbite. The question then is what to do about it, how soon should intervention take place, and what the complications are that can arise if nothing is done at all. Let’s get some answers. the soup. As you slowly lower it, you try to line up the brims so when they rest together they form a nice even seal. Unfortunately, given the soup is hot, you don’t quite get the brims to line up perfectly, and the edge of the top bowl ends up resting just slightly to the left of the lip on the bottom bowl. The way these two bowls now rest unevenly atop one another is exactly what you would see in a person with a crossbite. A crossbite can affect several teeth, or a single tooth, and can occur on either one side of the mouth or both. Simply put, if any one tooth (or several teeth) lies nearer the tongue or cheek instead of coming together evenly, you’re likely dealing with a crossbite. The dental community is split on when to initiate treatment for a crossbite, with some suggestions. Treatment should begin as soon as it is noticed (sometimes as early as age three), while others suggest parents should wait until a child’s sixth year molars have arrived. Despite the difference of opinion as to when treatment should begin, dentists and orthodontist are in agreement that the condition cannot be left untreated. Doing so presents a host of complications for the child later in life including gum and tooth wear, uneven jaw development that can lead to temporomandibular joint disorder (TMJ), and facial asymmetry – something no parent or child wants. Crossbite treatment generally involves adjusting the spread of a child’s teeth with dental appliances so the bite pattern matches evenly on all sides. 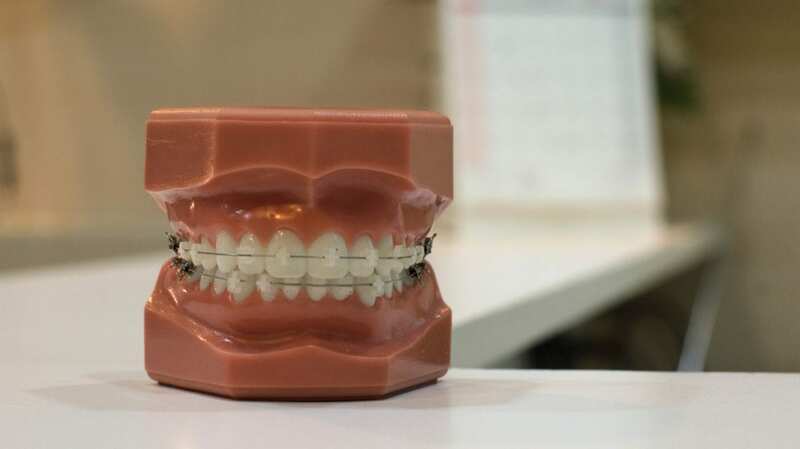 Depending on the type of crossbite a child has, this can be done with dental expanders that resemble orthodontic retainers, and include a screw that is tightened nightly to “spread” a child’s bite to the prescribed width. Additionally, dental facemasks, braces and clear aligners may be used – particularly when a single tooth is out of alignment. Crossbites are generally regarded as genetic in nature, and they’re not overly common. It is, however, a condition that needs to be treated before permanent damage to a child’s facial and oral development occurs. So, if you find yourself at the other end of a discussion about having your little one wear a dental expander, be sure you listen and get however many opinions regarding that advice as you require. Your child, and your wallet, will thank you long into the future.